Recently completed your PhD and want to harness your deep tech expertise to start a company? Want to do it in New York City and get funding from day one? If so, consider the Runway Startup Postdoc Program. Startup Postdocs arrive with ideas for unproven products and markets that require time and specialized guidance to develop. These startups demand more than a few months to launch. They need a bit of a “runway.” That’s why our program lasts 12–24 months and incorporates academic and business mentorship. Runway provides an impressive package valued at $175,000 in the first year and $102,000 in the second year, that includes a salary, research budget, housing allowance, space and more. In addition, the Startup Postdoc receives significant benefits and perks and corporate support . Known as the “Startup Nation,” Israel has cultivated the greatest concentration of high-tech startups outside of Silicon Valley, and more than 70 percent of current Israeli high-tech business leaders graduated from Technion–Israel Institute of Technology. Today, Cornell and Technion are creating a new model for tech education in New York City through their partnership at the Jacobs Technion-Cornell Institute at Cornell Tech. As part of the Institute, Startup Postdocs are enveloped in a culture of entrepreneurship. Their academic mentors are professors — based in New York City, Israel, and Cornell’s upstate New York campus — and many are successful entrepreneurs in their own right. They understand the time, resources, and support that bold experimentation requires. Startup Postdocs are interested in the application of digital technologies in a broad sense. 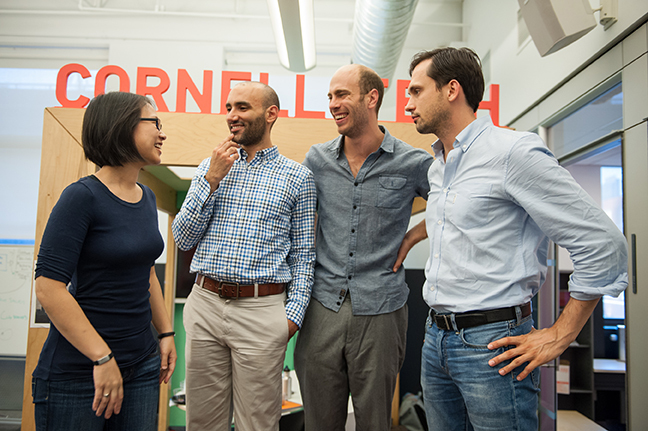 The faculty at the Jacobs Technion-Cornell Institute and Cornell Tech includes experts in connective media, health technology, security and privacy, computer vision and a number of other fields. We select Startup Postdocs with related backgrounds so they can tap into the excellent resources and mentors already here. Runway also deeply values the collaboration, communication and camaraderie that develops amongst cohort members. With their shared backgrounds, Startup Postdocs also advise each other, solve problems and spark pivotal ideas by working together. Every Startup Postdoc gets the same Intellectual Property (IP) deal — and it is a pretty straightforward model. If you come to Runway, the Jacobs Technion-Cornell Institute officially becomes your first investor, contributing roughly $175,000 in support in the first year and $102,000 in the second year, and giving you exclusive rights to the IP you develop. In exchange, we receive an equity share of less than 6% in your company comparable to the value of our investment. You’ll leave the program with royalty-free, exclusive rights to your IP forever. We begin our program with a unique learning experience: a 5-day intensive workshop on how to discover the most valuable market opportunities for their innovation. This hands-on workshop presents a visual business tool- theMarket Opportunity Navigator– to help postdocs in overviewing their potential markets, developing an open mindset that avoids locking in, and eventually setting a smart strategic focus. During the workshop, postdocs apply the Market Opportunity Navigator on their own business idea and go through one full cycle of the process. The wide perspective that this workshop provides is essential before moving to the next step- validating a specific market opportunity through intensive customer interviews and minimum viable products. 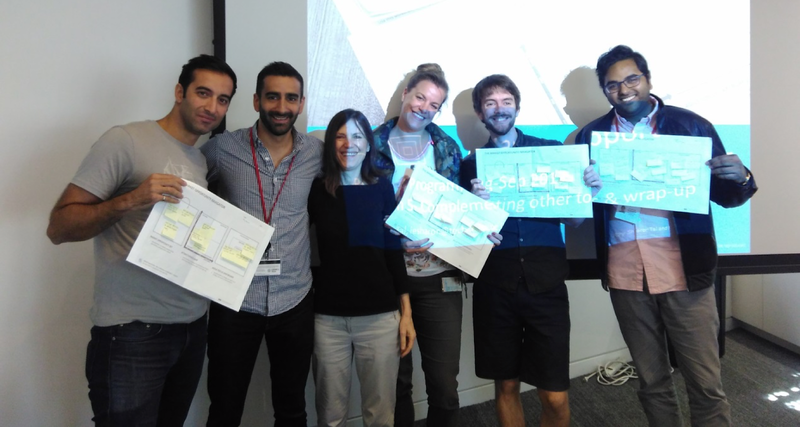 Even after our postdocs go through these excellent training programs, we keep holding their hand as they perform the early steps of their entrepreneurial journey. We urge them to use their toolkit and apply these business tools over time, to reflect on their learning. The systematic approach enables them not only to make smarter strategic choices, but also to discuss and debate with their team, mentors, and stakeholders. The Runway program is all about spinning off deep-technology ventures and giving entrepreneurs the ingredients they need to succeed: a long runway, peace of mind, technical and business mentoring, connections, and of course Technion’s and Cornell’s prestige in technical entrepreneurship.